05-20：【NEWS】 On 28 May (Sun. )'s Odawara Dinacity's release event is decided. 03-20：【NEWS】 7 years anniversary from debut LIVE will be held on Thursday • Holiday, May 4! 03-08：【NEWS】 Performance on June 18 (Sun) who will appear in YATSUI festival this year again! 03-02：【NEWS】 It is fixed that YURI NAKAE will appear on the stage Ann&Mary Presents Vol.3 "PIRATES OF THE DESERT 3- fake compass and true steering wheel-" from April 12 to 16, two people play the lead role! 02-15：【NEWS】 It was decided that "predawn / Do not give it up" an internet autograph session will be held on 2/19 (Sunday)! 02-13：【LIVE】 【Tokyo】JK limited event "Cinderella Fes"
01-28：【NEWS】 March 1st (Wed) Shop original special privilege will be available for the new single "predawn/ Don't give it up"!! 01-28：【NEWS】 TOKYO GIRL'S STYLE will have a one man event in Hong Kong HMV on February 12th(Sun)! 01-04：【NEWS】 1/25（Wed）Daikanyama LOOP event performance is set! 12-28：【NEWS】 TOKYO GIRLS' STYLE 22nd Single "predawn / Do not give it up" to be released on 3/1 (Wed)! 12-27：【NEWS】 To Hong Kong on Feb 11 (Sat) and 12 (Sun)! Set to perform "@JAMxTALE in HongKong 2017" set to perform! 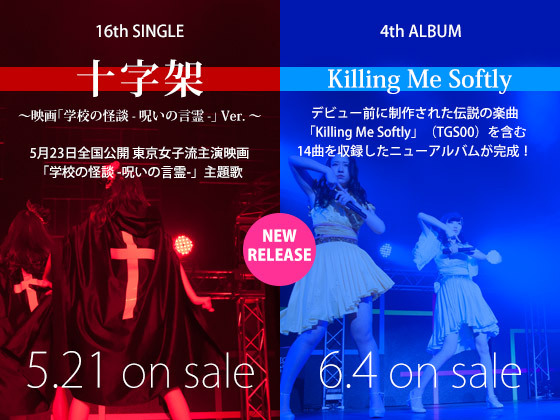 On the 12th a separate one-man LIVE event is scheduled to perform! 12-27：【NEWS】 1/21 (Sat) - 22 (Sun) One Man LIVE in Taiwan to be held again! Also will appear in the event on the previous day! 01-10：【LIVE】 【HOKKAIDO（Hitomi Arai）】tofubeats “POSITIVE REMIXES” release party at Sapporo Sound Lab mole. 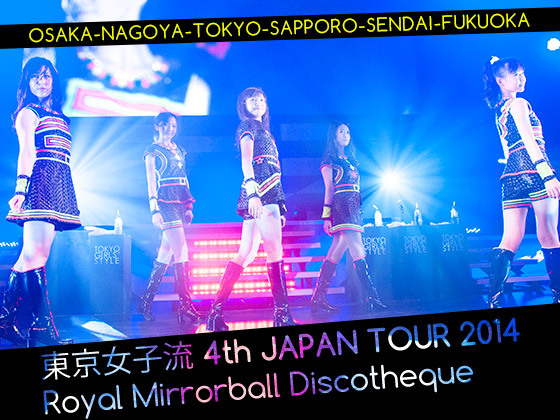 12-22：【LIVE】 TOKYO GIRL'S STYLE 5th album「REFLECTION」 release party at Niko Niko Main Office on 25th December (Fri) ! 10-02：【NEWS】 Saue and Nakae are nominated for 「NexT Break Artist Prize」 of MTV VMAJ 2015! Please vote! 10-01：【LIVE】 【Tokyo]】TOKYO GIRLS' STYLE in 「Hamura Nigiwai Ongakusai 2015 (Hamura Music Festival) 」!! 07-28：【NEWS】 Nintendo Kisekae of 3DS of HOME menu 「Tokyo Girls' Style」appeared! 07-01：【NEWS】 Tokyo Girls Style Original "Tokyo Girls Style VISA CARD" unveiled! Please apply from online! 06-20：【NEWS】 Start of TOKYO GIRLS' STYLE's 5th Anniversary goods by mail-order! 02-02：【NEWS】 A sale of the official photo of the fan club event, "Winter Vacation of Astalight* in Osaka", has been decided! 01-23：【TOUR】 The Tai-ban/The Tan-doku three months performance! 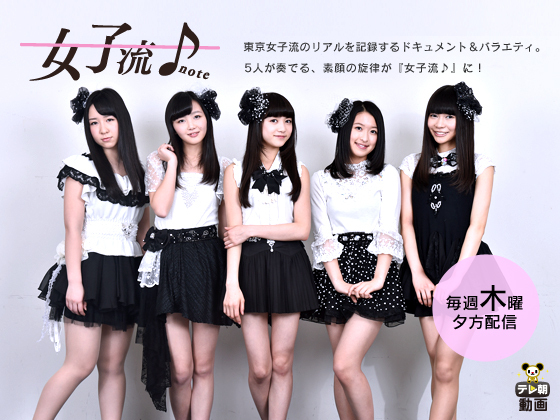 01-16：【NEWS】 TOKYO GIRLS' STYLE, 5 of them will play the lead on BS Japan drama in March 2015! The last scene of the drama is the scene which they perform on the stage! We started a project to shoot the scene in a church with fans!